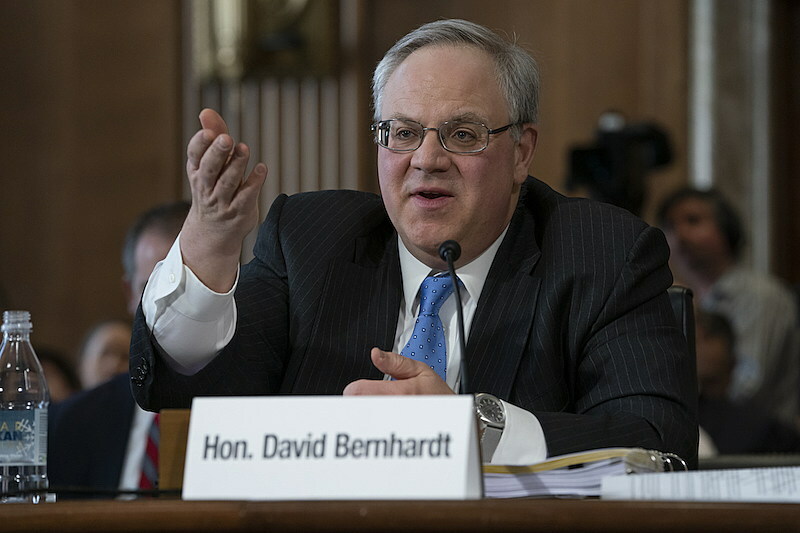 Montana’s two U.S. senators on Thursday split their vote on the confirmation of former industry lobbyist David Bernhardt to serve as the new head of the Interior Department. The Senate confirmed Bernhardt’s nomination to the post on a 56-41 vote, with four Democrats voting with the Republican majority. Sen. Jon Tester took a different view in opposing Bernhardt’s nomination. Tester questioned his ethics and past efforts to boost industry interests over responsible regulation. Tester said Bernhardt recently released a proposed budget gutting funding for the Land and Water Conservation Fund – a popular measure in Montana. He also reduced payments in lieu of taxes for county governments and slashed construction funding by 90 percent for rural water projects in Montana. “Mr. Bernhardt is pushing policies that threaten Montana’s clean air, clean water, and our booming outdoor economy — and as acting secretary, he has failed to show understanding of the federal government’s trust and treaty responsibilities to Indian Country,” Tester said in a statement. “I appreciate the Senate’s quick confirmation of this well-qualified nominee and look forward to continuing to work with Secretary Bernhardt on issues important to Montana,” Gianforte said in a statement. Bernhardt will replace former Secretary Ryan Zinke, who resigned amid several ethics investigations. Tester said Bernhardt has ethical questions of his own. “Despite signing an ethics agreement prior to joining the Department of the Interior in 2017 that prohibited him from participating in events hosted by the energy corporations he represented as a lobbyist, Bernhardt was caught last week scrubbing 260 events from his public calendar with representatives from these industries,” Tester said.